Our event space spends a good measure of its life as a working winery, lending it an air of utilitarian style. Yet with little effort, it transforms into a kingly serving space complete with all the requisite creature comforts—and then some. 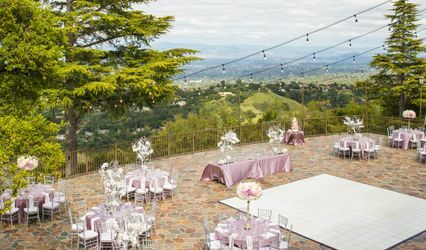 Bluxome Street Winery made our wedding reception the beautiful and easy to plan event we were looking for! 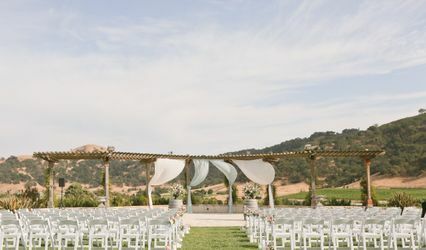 First and foremost, having a wedding at a winery means that the wine better be good…and it was! There was a great selection for lots of different pallets, and also a good selection of beers as well. The best part about Bluxome is that the space already has so much personality. Between the amazing lighting, the cool high-top tables, the wine barrels, and the wall made of barrel staves, the whole space already looks complete even before we added flowers (and we honestly didn’t feel like we needed to add anything else). And last but not least, Megan was so helpful as we planned. 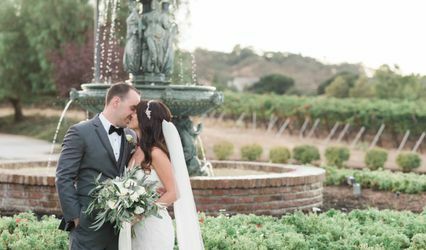 She responded to all of our questions, made sure we knew exactly what we were getting, recommended a great caterer, and generally just made everything easy for us. We couldn’t be happier with how our reception went at Bluxome!